Would Moscow Persuade Damascus to Take Peace Seriously? Late on March 14, Russia’s President Vladimir Putin summoned Foreign Minister Sergey Lavrov and Defense Minister Sergei Shoigu to the Kremlin in order to announce in front of numerous TV crews that Russia was beginning a partial withdrawal of its troops from Syria. The Head of State explained this step by noting that Russian pilots have successfully completed the mission they were entrusted with. At the same time, Putin announced that Russian military bases in Syria – one near the city of Tartus and the Khmeimim airbase were not going anywhere. It’s safe to say that this decision has caught the White House off guard. During a daily press briefing, White House spokesman Josh Ernest decided that he would simply ignore the questions, instead of providing any detailed answers. “President Putin announced the planned withdrawal of Russian troops from Syria. We hope to learn more about this in the coming hours, “- that’s all the White House PR team could come up with. As for the Russian liberal opposition and numerous “hawkish patriots”, along with certain “partners” in Europe and in the Arab world, they have immediately begun exclaiming that Moscow has failed to sustain the financial burden of military operations in Syria and has simply decided to run away. They believe that Russia is helpless due to the economic crisis caused by Western sanctions and a sharp drop in oil prices. As for Riyadh and Ankara, these players were literally celebrating their victory over Russia in Syria. Although in reality, the situation is quite different. Indeed, it would be childish to try and argue that Russia withdrew due to economic difficulties. In October 2015, Moscow was sending its troops to oppose terrorists in Syria that had been supplied and sponsored by Turkey, Saudi Arabia and Qatar. Experts are now failing to notice fairly important facts, namely the time and the nature of this announcement, and that it has more to do with the facts on the ground than anything involving the Russian economy. Shortly before the withdrawal was announced and mere days before a new round of Syrian talks in Geneva between the Syrian government and the opposition members, Syria’s foreign minister Walid Muallem announced that Damascus is convinced that no matter what coalition government is going to be formed as a result of the negotiations, it should be headed by Bashar al-Assad. But Russia has repeatedly warned all sides of the conflict that there will be no preconditions before the negotiations start. Nevertheless, for several months in a row, while relying on the backing of the Russian military, the legitimate government of Bashar al-Assad has been ignoring the realities of the situation on the ground. It was Russian aircraft that dealt an extensive amount of damage to ISIS infrastructure in Syria, which allowed ground forces to cut the supply lines that have been sustaining them in Syria for years. So there can be no denying that Moscow has played a decisive role in achieving the ceasefire agreement after countless rounds of negotiations with the US, causing a negative reaction from Saudi Arabia and Turkey. But Syrian authorities, instead of using this favorable situation for beginning a political process of national reconciliation, which cannot be achieved without concessions, continued to maintain its tough military posture, even though it has no means to achieve a military victory after 5 years of bloody war, while Syrians are divided into several warring camps. Damascus has also chosen to ignore the fact that numerous external players carried on with support of various radical groups in a bid to overthrow Bashar al-Assad, in spite of the Russian-American agreement. And what Moscow was supposed to do under these conditions? Carry on the bombing campaign against terrorists without any prospects of a peaceful agreement being reached any time soon? But this wasn’t the goal Russia has set for itself, and it has repeatedly stated that since the beginning of its military operation. So the statement of Presdient Putin should be looked at from a certain angle: Russia cannot carry on the war indefinitely if its allies are not searching for ways to achieve peace and constantly refuses to compromise. This is exactly the reason why the United States lost its wars in Iraq and Afghanistan and the reason why the Soviet Union was forced to withdraw from Afghanistan. So Russia’s decision is a perfectly loud and clear signal that has been sent to Bashar al-Assad that no one can cheat the rules while turning a blind eye to the situation on the ground. Ultimately, his fate lies is in the hands of the Syrian people, rather than in the hands of any external ally. Russia’s leader has made a strong diplomatic move, which should allow Syrian authorities to sober up and start talking with the opposition forces seriously. For now the better part of Russian mission remains in Syria and will continue destroying terrorists. Now it’s time for diplomacy, not war. Russia’s military forces did their job by creating preconditions for negotiations. And much will depend on the flexibility that Damascus will be willing to show. Hopefully, there’s enough political wisdom left in the minds of Syrian politicians not to waste such an opportunity. After all, Moscow rushed to Assad’s rescue when his government may have otherwise fallen in a matter of weeks. But to abuse the favors provided by an ally, without giving anything in return, is impossible. Perhaps, Syrian leadership can and will understand this point. There’s yet another risk – the risk that those who had been fueling the Syrian war for years until the very moment when the ceasefire took effort, namely Turkey and Saudi Arabia, would misread Moscow’s step. Should they assume it as a manifestation of weakness, and push hard with unwarranted confidence, they might restart the conflict. 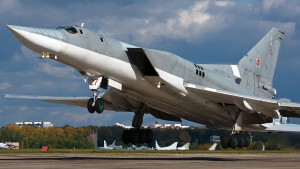 In this case they should be prepared for Russian warplanes to once again be making sorties against them both from their Syrian bases and from Russian soil, striking the aggressor with the determination and precision that has already been demonstrated in Syria.